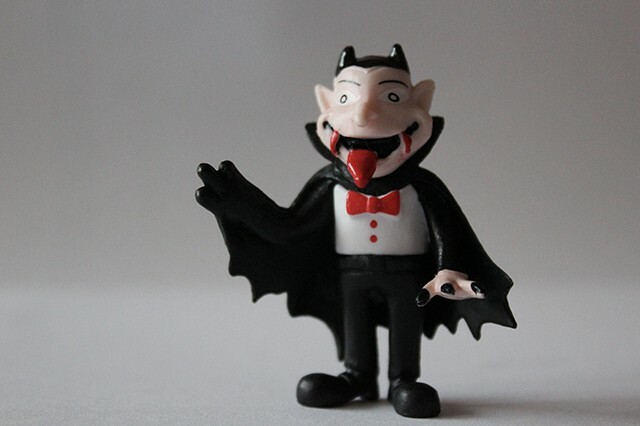 If you type ‘is Transylvania…’ into Google, four of the top five searches will be from people who doubt its entire existence. Well, it’s a very real place, and from the looks of these searches, you could definitely class it as one of Eastern Europe’s many hidden gems. This fairytale region straddles the fairly fluid line between two countries; lying within Romanian borders but speaking Hungarian as a default language; but really has a culture all of its own. 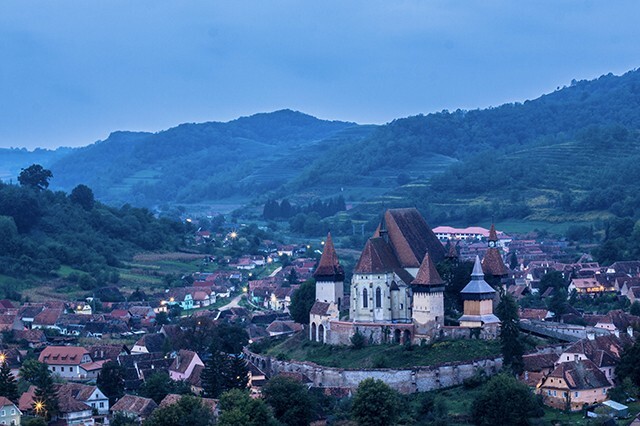 You’ve probably heard about Transylvania before, but how much do you know about Lonely Planet‘s number 1 choice for ‘best in travel’ 2016? Although it would be cool if it was. Transylvania’s reputation for the ghastly and ghoulish is almost entirely down to only two simple and misunderstood little vampires. Bram Stoker’s infamous Dracula is Transylvania’s most prosperous export, providing a wealth of tourists who come to visit castles claiming to be inspirations for the novel. Similarly, Nosferatu helped to put the spooky region on the map with F.W. Murnau’s 1922 classic film. It’s a region swimming in literary and cinematic history. (But Vlad Dracula was a real person…muhahaha!). Not particularly a fact, this one, but such a widely held opinion that it may as well be…the mediaeval castles in Transylvania really are some of the best in the world, with Bran Castle taking particular plaudits for its historic family-ties and connection to the original Count Dracula, the merciless Vlad the Impaler. 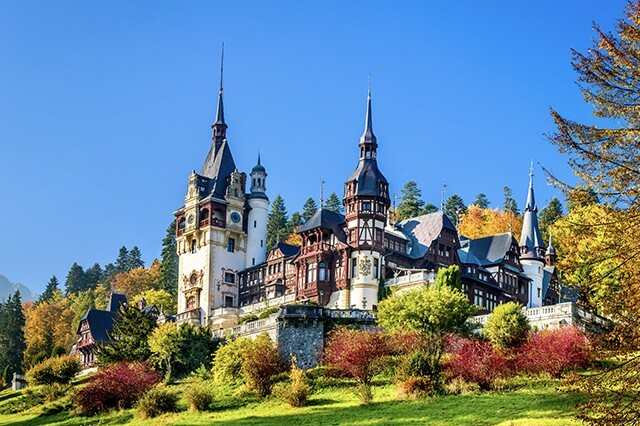 Peles Castle is a beautiful fortress similar in design to the world-famous Neuschwanstein Castle in Bavaria, while Corvin Castle is stunningly unique and one of Europe’s largest. Thankfully not around the village squares. 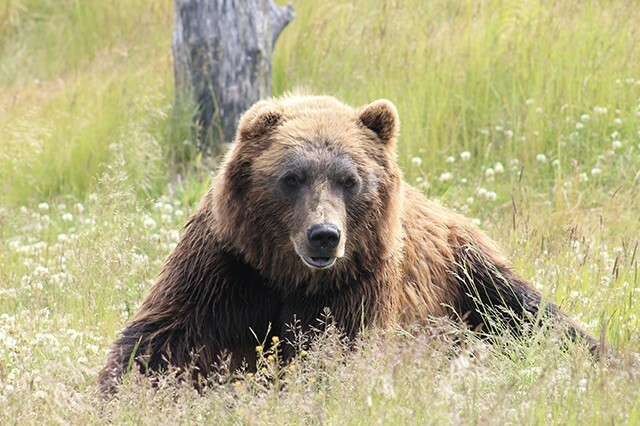 These furry behemoths tend to stick to the hills of the Carpathian Mountains where they are free to roam and are nowadays looked after to the point where 1,000 bears has resurged to 6,000. It houses 60% of Europe’s entire brown bear population, which once contained the largest brown bear on record – at a shiver-inducing 480kg. They live on the slopes alongside lynx, wild boars, game birds, wolves and deer. Regardless of your views on Jezza, it’s quite hard to refute his claim. 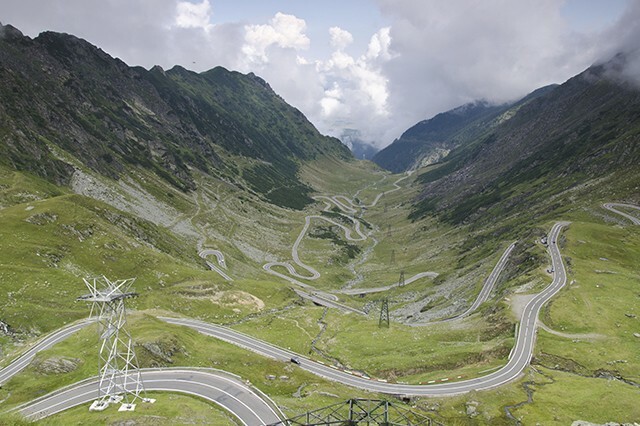 The Transfagarasan is a snaking road that stretches 56 miles between Transylvania and Wallachia. ‘The road to the sky’, as it’s called, took 6,000 tons of dynamite to carve out of the towering Transylvanian Alps and the twin peaks of Moldoveanu and Negoiuand, which make up the road’s boundaries. It was built at an enormous altitude of over 2,000 metres during the 1970s and is accordingly considered ‘a monument to earth-moving megalomania’. 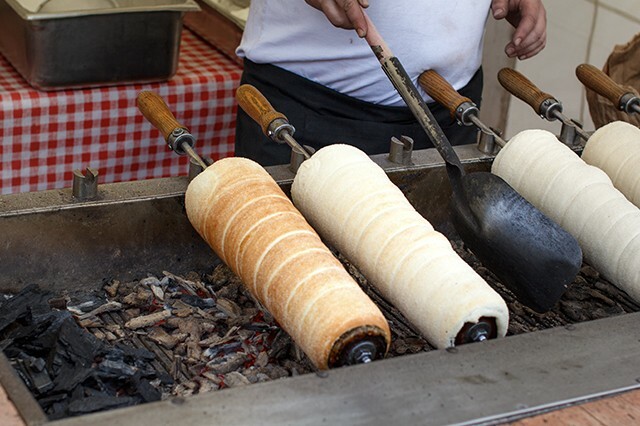 Famous in many places in Europe now, but having its roots in Transylvania, the humble ‘chimney cake’ is possibly the region’s tastiest export. Funnily enough, the name kurtoskalacs didn’t take off in other places in Europe, but the word translates to ‘stovepipe’ and thus the name ‘chimney cake’ was born. These are large, cylindrical pastries that are baked around a wooden helix that gives them their hollow centre before being dusted with sugar and caramel. 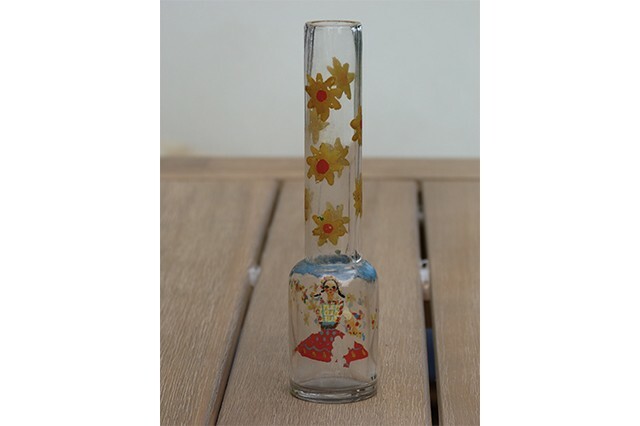 They are especially popular at weddings where everyone takes a turn revolving the cylinder in a brick oven; a process that often takes hours but is always worth the effort. Dracula hogs the headlines when it comes to scary goings-on in Transylvania, but the creepiest of underbellies is really Hoia-Baciu Forest – the Bermuda Triangle of Eastern Europe. 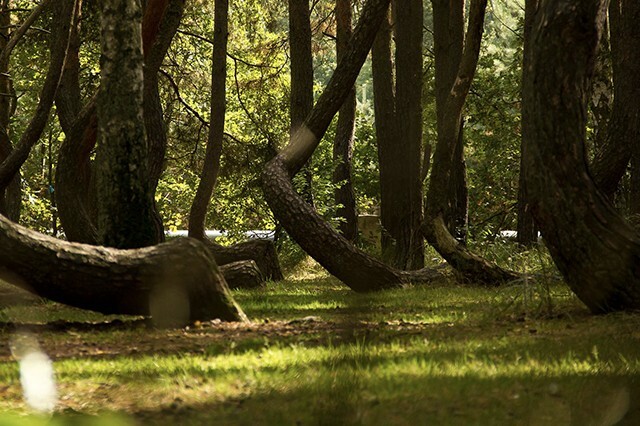 The beautifully crooked, twisted trees are an eerie sight and have inspired countless folktales of people who have gone missing in the forest, possibly snatched by the ghouls that posses the trees themselves. There has been every possible mention of paranormal activity, including vampires, ghosts and UFOs and is thus considered one of the scariest forests in the world. Eastern Europe is no stranger to alcohol, just as no Transylvanian is a stranger to Palinka. This is a 40% ‘sipping’ alcohol that is served in an elaborate shot glass and is meant to partner each course of dinner. Double-distilled over the course of six years in oak and mulberry barrels, its contents of apples, pears, plums, apricots and peaches sound positively healthy, but don’t be deceived, this is one tough liquor, but it’s an absolute must when dining in Transylvania. We may be forking out for some of the broken chandeliers in Buckingham Palace at the moment, but Prince Charles is forking out quite a bit more in the name of Transylvania. The Prince has visited the region many times from 1998 and is now buying decaying Saxon real estate in forgotten villages with a view to renovate the buildings and rent them out to increase the level of grassroots tourism. This helps the local economy and instils an outside interest in beautiful traditional living spaces that still have an air of village life about them. Seven of these Saxon villages are UNESCO World Heritage sites and are well worth a visit. Way to go, HRH. You can see what all the royal hubbub is all about on our Transylvania walking holiday, a new addition for 2017!